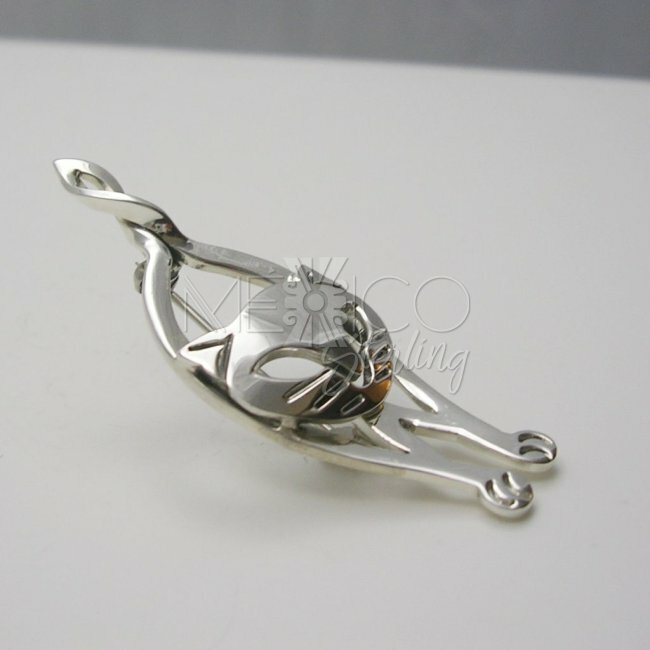 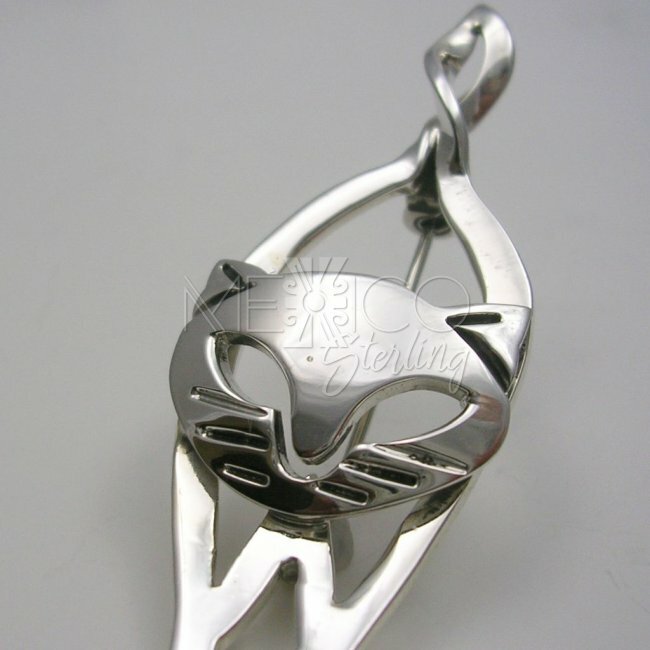 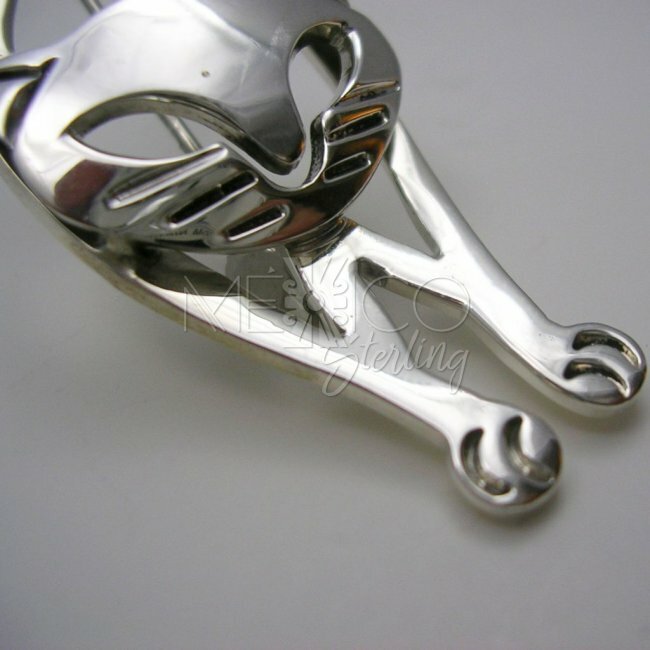 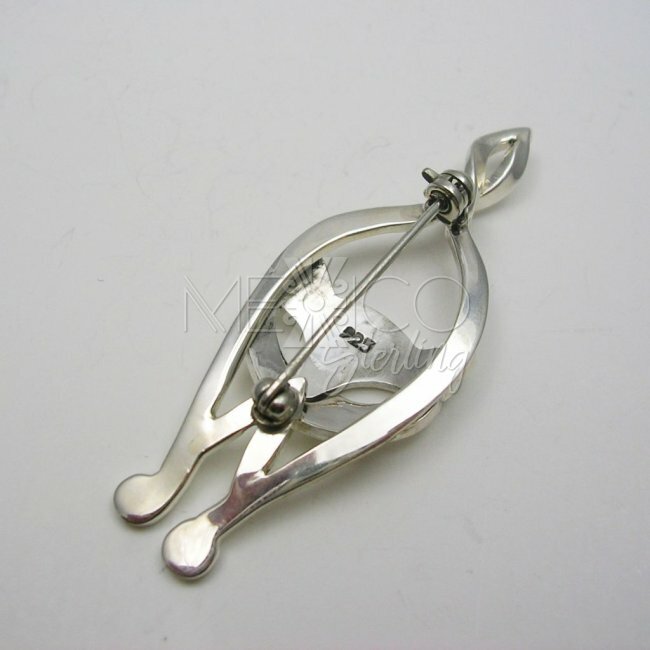 Taxco Sterling Silver Cat Brooch - $36.00 : Mexico Sterling Silver Jewelry, Proundly from Mexico to the world. 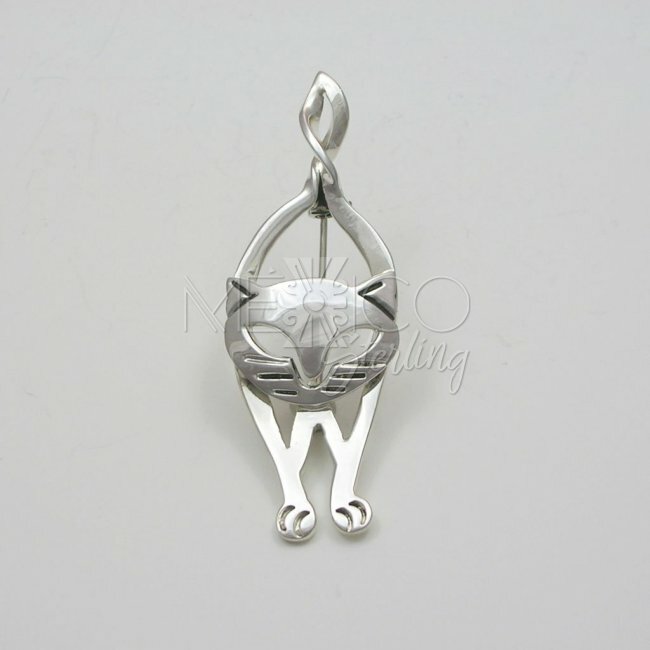 Dimensions: Width : 7/8" Length : 2 1/4"
Beautiful silver brooch with a stylized shape, it really makes a great jewelry accessory. 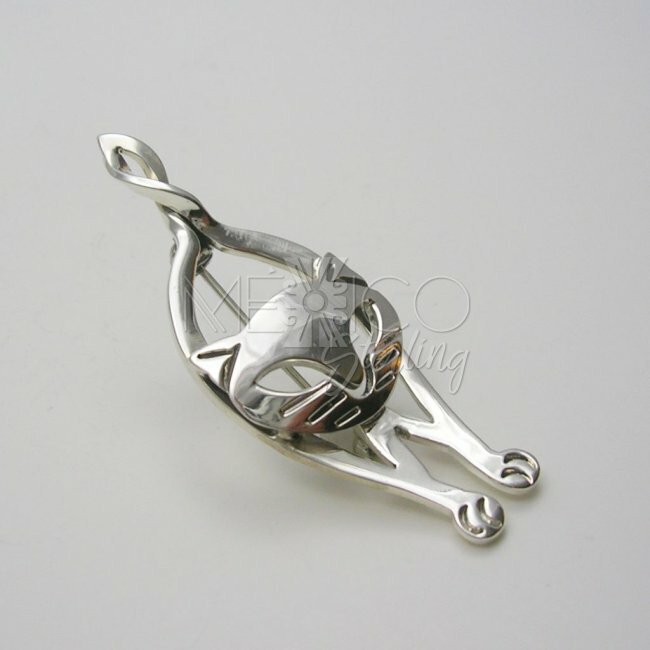 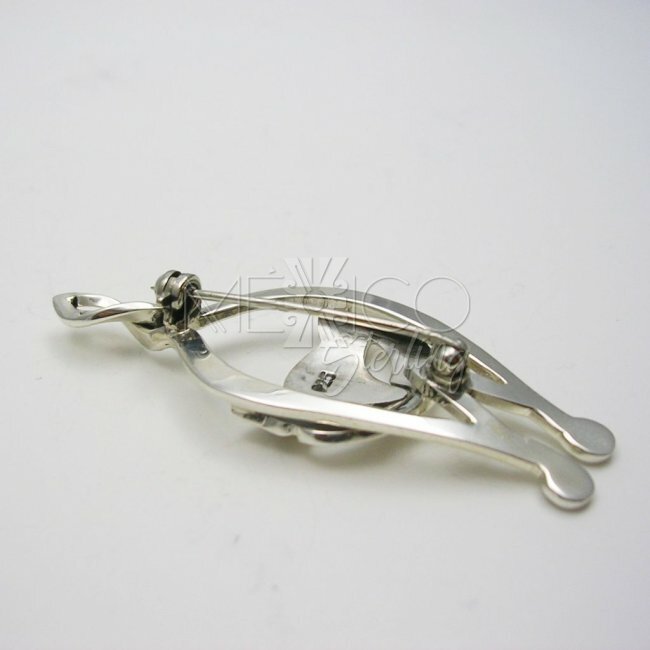 This is a completely handmade silver brooch, crafted with charming details that make it stand out form the rest.